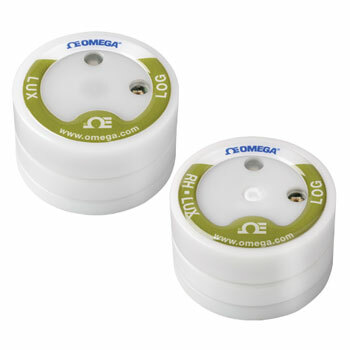 OMYL-M61 and OMYL-M62 light data loggers record luminance with a spectral sensitivity adjusted to the spectrum of the human eye. These data loggers are available with standard memory of 100,000 readings (OMYL-M61, OMYL-M62) or expanded memory of 4 million readings (OMYL-M61-4M, OMYL-M62-4M). Models OMYL-M61 and OMYL-M61-4M have one internal channel for light measurement. Models OMYL-M62 and OMYL-M62-4M models have three internal channels for measuring light, temperature and humidity. These data loggers are typically used in weather stations, museums, street lighting or commercial/industrial lighting studies. The storage medium is non-volatile flash memory so no data is lost if the battery becomes discharged. Data logger setup as well as data retrieval is accomplished using the included standard OMYL-SOFT software. Downloaded data is stored in the OMYL-SOFT software as a text file for viewing in third party software packages or Microsoft Excel. The OMYL-SOFT standard software does not include any graphing functionality. Graphing and analyzing downloaded data files requires the OMYLSOFT- PLUS version of the software (sold separately).